If starting your day with a cup of coffee – ideally while still in your pajamas – is your idea of the perfect morning, then you must have heard of Mr. Coffee. Oh! But in case you’ve not, Mr. Coffee is one of the top manufacturers of automatic-drip kitchen coffee machines including a wide range of impressive single serve coffee makers. As an avid coffee drinker, a cup of freshly brewed coffee should always be readily available. This makes a single serve coffee maker a must-have gadget in your home, office and even on your bedside table. Single serve coffee makers have totally changed the lives of many coffee lovers. 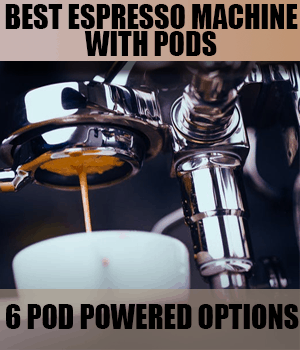 You really don’t have to rush off to some coffee shop and wait on a long queue whenever you start craving a cup of coffee or worst still, get stuck with a complicated drip coffee machine at home. Not when you can make life a lot easier for yourself. You want a cup of coffee? No problem! With Mr. Coffee single serve brewers, you get your favorite coffee drink brewed with the press of a button and in less than one minute. These coffee makers are versatile in operation. Some brew coffee using traditional coffee grounds, some brew using K-pods while some others brew using both methods. For instance, Mr. Coffee Single Cup Coffee Maker With built-in grinder brews delectable cups of coffee from both loose coffee grounds and K-pods. Aside giving you a refreshing coffee drink in less than a minute, Mr. Coffee single serve coffee makers are inexpensive and would nicely fit in your budget. It’ll also help you save some bucks – those dollars spent in coffee shops could definitely serve other purposes. It doesn’t end there, Mr. Coffee single serve coffee makers are also easy to use and maintain. The parts of these machines can be separated and washed in a dishwasher. You wake up in the morning, ready to start another great day. But your brain isn’t as alert as you’d want it to be and your body system is responding too slowly. Just then, you remember you haven’t had your daily dose of caffeine. Okay, the nearest coffee shop is a few blocks away, so no problem. Won’t there be a queue of other coffee lovers? And how long would you have to wait to satisfy your coffee craving? Really, do you have to wait that long? How about having an early start so you can meet up with the rest of your plans for the day. A single serve coffee maker is the solution to your problem. With this gadget, your kitchen is your personal coffee shop. And you won’t have to skip that cup of coffee just because you’re running late. Simply switch on the machine, add coffee, add a little water, your favorite flavors, and within seconds your coffee is ready. So now you may be thinking, what exactly are these single serve coffee makers about? Let’s find out. Durable and efficient: These machines are built to last with high-quality materials. And with the simple press of a button you get what you want – a tasty cup of coffee. Compatible with K-cups: With K-cup pods you can make any beverage you want and these gadgets work with them. Budget-friendly: Really, you should’ve to break the bank simply to buy a single serve brewer. And that’s a major advantage of Mr. Coffee’s machines. They are very efficient yet affordable. Taste of coffee: You deserve a refreshing cup of coffee and that’s exactly what you’d get. A strong brew, a frothy one or a latte – whichever one you want. Designs: Mr. Coffee single serve brewers may not have all the fanciful and eye-catching designs of single serve coffee makers from other manufacturers but they’d give you the exact brew quality you want. Top features of the best single serve coffee makers. To enjoy fresh coffee on a daily requires that you have a single serve coffee maker. There are so many of them available with different specialized features to make each one unique. Brew quality: This cannot be compromised for any reason whatsoever. If your coffee maker doesn’t give the you the exact brew quality you crave, then of what good is it? The perfect single serve coffee maker must produce a powerful cup of coffee with unbeatable freshness and within a few minutes max. Ease of use and cleaning: I don’t know about you but I really don’t appreciate unnecessarily complicated stuff. Life is already too complicated on its own. Nothing beats simple and your coffee maker shouldn’t be any different. With the simple touch of a button you should have delicious coffee ready. And been able to separate the parts to be cleaned in a dishwasher is just ideal. 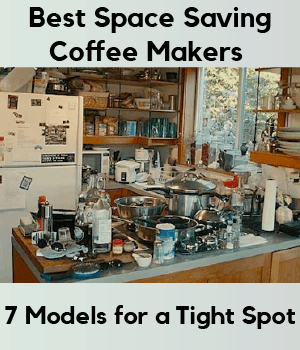 Budget-friendly: I don’t think it’s fair for anyone to bore a hole in their pockets just because they want a handy coffee brewer to satisfy their coffee cravings. I’m sure you agree with me. A perfect single serve coffee maker shouldn’t cost an arm and a leg. Durability: you want your money’s worth, so lookout for a coffee maker made with high-quality stainless steel and plastic. A machine that wouldn’t fall apart if mistakenly knocked off the counter. I’m sure you’ll want your coffee maker to provide you refreshing coffee drinks for an impressive number of years. Size: in addition to the other features, a portable single serve coffee maker is the ideal brewer. If you’re an ardent fan of coffee, you will agree with me that nothing beats the taste of freshly ground and brewed coffee. The freshest tasting coffee is brewed right after grinding and that’s why you have Mr. Coffee Single Cup Coffee Maker. This handy coffee maker is designed to give you the freshest possible cup of coffee as it has a built-in grinder to grind your coffee beans just before brewing. With this coffee machine you’re only a few minutes from enjoying a delicious and satisfying cup of coffee as it reduces beans to grounds within seconds. This is amazingly fast and more than convenient especially for your quick coffee fix before the morning rush hour. And if you’ve run out of coffee beans, no problem. In addition to grinding whole beans, this coffee maker can brew your traditional ground coffee – which is an awesome plus. Mr. Coffee Single Cup Coffee Maker is a sleek stainless steel machine with a large permanent filter basket which lifts out and it’s dishwasher safe to aid easy cleaning. It has adjustable cup sizes, a 16 ounce capacity for filling large coffee cups and an 8 ounce capacity for small travel mugs. And you have stainless steel, double walled travel mugs included which lets you brew your coffee on the go. This exotic machine is portable enough to fit in anywhere on your counter. With only 8 tablespoons of coffee beans or grounds and Mr.
Coffee Single Cup Coffee Maker you are ready to enjoy a fresh and satisfying cup of coffee. This coffee maker gives you brewing options; either you start with whole coffee beans for a fresh cup of coffee or your ground coffee. To enjoy a cup of coffee with unbeatable freshness, add some spoons of whole coffee beans to Mr. Coffee Single Cup Coffee Maker, with its one-touch setting, grind to your desired consistency and brew. An outstanding feature of this machine is its ability to brew coffee in two ways; either by reducing beans to grounds with a built-in grinder for a fresh brew or brewing traditional coffee grounds. A refreshing cup of coffee shouldn’t always mean a trip to your local coffee shop. Not when you can have a personal coffee shop in the comfort of your home. With Mr. Coffee One-Touch Coffee House Espresso and Cappuccino Machine you get to consistently avoid that long queue at your local coffee shop. Exactly as the name implies, it gives you amazingly delicious cups of coffee with just one press of a button. You can also make espressos, cappuccino and latte in only a few minutes. This one-touch coffee maker also lets you choose from a single or double shot espresso, and with its automatic milk frother you’ll get your choice milk whipped up into a light and airy milk foam. Its milk container can be removed, this allows you to clean with ease and refrigerate any leftover milk. And it’s milk tank is awesomely big with a capacity of 650ml – that’s big enough for 6 cappuccinos or 3 lattes. Mr. Coffee One-Touch CoffeeHouse has adjustable cup tray so you can fit in either tall or short cups. With a 19-bar Italian pump, this machine has enough pressure to squeeze out the tiniest bit of flavorful drink and two cups of espresso can be extracted simultaneously. Every part of Mr.Coffee One-Touch CoffeeHouse is specifically designed to give you a cafe-like experience. And its simple one-touch control allows anymore to operate it ease. This leaves no room for guesswork as no experience is required to get the machine working on giving you refreshing and creamy cups of your favorite cafe drinks. You also get to choose how you make your drink by either using the pre-set buttons or selecting manual settings to give it a personal feel. This stainless steel coffee maker uses coffee ground and has 3 thermocouples which gives it an even temperature for heating milk and coffee. With Mr. Coffee One-Touch CoffeeHouse your own kitchen becomes a coffee shop. This coffee maker is essentially different as it’s the only single serve brewer which delightfully provides you with your favorite cafe-style drinks in a few minutes. Do you always start your day with a cup of freshly brewed coffee? If yes, then a single serve coffee maker is all you need to have a bright day. And one that tops the list is the Mr Coffee Single Serve Coffee Maker. This impressive coffee maker is specifically designed to make sure you get your fresh cup of coffee precisely when you want it and just the way you like it. With this handy single serve coffee maker, preparing a cup of fresh and tasty coffee can’t get easier. As it’s ridiculously easy to operate and works smoothly. This black and silvery gadget is portable and can comfortably fit into any kitchen counter. It can also silently sit on a corner of your office desk to make your coffee cup refills a step away. And for a bedside coffee maker, it’s more than perfect. Mr. Coffee Single Serve Coffee Maker brews one cup of coffee at a time and with a built-in grinder it reduces the bean pods to grounds. You don’t have to worry about having a messy machine because this coffee maker is absolutely easy to clean up. 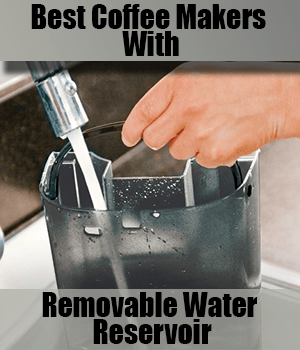 A water reservoir is absent in the device, so you get to add the amount of water you need to make your cup of coffee. This lets you add water to your taste and prevents undue water wastage. This coffee maker is especially ideal for anyone who enjoys fresh coffee and is in search of an easy to operate and pocket-friendly single serve brewer. Mr. Coffee Single Serve Coffee Maker brews great coffee with a fresh and delectable taste. These three words completely describes it; simple, compact and stylish. So, if you’re looking to purchase a well built single serve brewer and equally save a few bucks, look no further. Because you’ve found it and it’s Mr. Coffee BVMC-SC100-2 Single Serve Coffee Maker. With its built-in grinder, it brews coffee from freshly ground beans giving you an exceptional cup of coffee with unbeatable freshness, this feature majorly differentiates it from the others. If you aren’t a fan of hot coffee and you find frappe delectable, then Mr.
Coffee 20 ounce Frappe Maker is the perfect gadget for you. It lets you create your own delicious frosty beverages right in your home. Instead of making that trip to Starbucks or Dunkin’ Donuts for a cup of your favorite frosty drink, a more economical and budget-friendly option is the 20 oz. Frappe Maker from Mr. Coffee. This all-in-one appliance not only brews great tasting coffee but also blends the beans and it’s absolutely easy to use. No need to brew and blend separately, just load the machine and watch it produce a refreshing cup of your favorite frosty drink. The sleek designs of this machine allows for easy storage. So if storage is an issue, have no fear since it can snugly fit in your kitchen counter because it’s small and slim. With the simple touch of a button, it brews and blends within minutes to give you a delicious coffee frappe. You can also create all your favorite frosty drinks; ice cream, whipped cream, milk, chocolate-milk powder and lots more. With the accurate amount of liquid, the ice is blended completely to give you smooth and creamy frappe. Cleaning this gadget is no problem. Simply take out the filter and wash the blender by hand. A simple guide for taking accurate measurements is provided on the side of the blender to aid you in measuring ingredients, making it easier to use. It comes with a recipe book which arms you with exciting new recipes and promises nothing short of delicious frosty beverages. Although there are great ideas in the recipe book, you aren’t limited to them. This little handy machine can be a bit noisy, though you’ll get a cue before it begins. If you’re looking for an awesome single serve frappe maker, this is a great buy and you’ll get your money’s worth. Its ability to make fabulous tasting frappe drinks within minutes makes it uniquely different from the others. Did you know you could get all of your favorite creamy café latte for free? You really don’t have to go running off to some coffee shop whenever you start craving those refreshing lattes you enjoy. Not when you can brew them yourself in your own kitchen and at no cost at all. Mr. Coffee Cafe Latte Maker is a powerful appliance designed to give you exotic cups of creamy latte within minutes. With easily understood controls and an automated process, this gadget gives you a delicious cup of latte in a few minutes. As it simultaneously brews coffee grounds and froths milk to produce an astounding result in a single touch. With its 24 oz. capacity this latte maker makes it possible to serve 1 to 2 cups at once. In a few simple steps Mr. Coffee Cafe Latte Maker creates a fantastic latte drink. First, add water and espresso or coffee grounds into the top of the machine. Add your desired ingredients to the pitcher, finally lower the power lever and watch it brew you a great tasting cup of latte. Brewing your favorite café latte can’t get any easier. Once the automatic latte cycle is completed, its auto shutoff function automatically puts off the appliance. Cleaning is easy as it’s dishwasher safe and should be ideally cleaned right after brewing. This coffee latte maker also has an option to reheat your coffee, which I think is awesome. For instance, when you finish a drink of coffee, the leftover coffee may have cooled down but by pulling down the selection knob to heat/froth you can restart the coffee maker and enjoy another hot cup of fresh and creamy latte. It operates smoothly and brews quietly so you don’t have to worry about disrupting anyone’s beauty sleep. This latte maker comes with a recipe book which contains 20 great ideas for latte and hot chocolate. Mr. Coffee Cafe Latte Maker is perfect for quickly and easily making delicious latte. This feature makes it stand out from the others. Starting your day with a powerful cup of coffee can make all the difference. And there’s no better way to do that than with a personal coffee maker; a machine which provides you excellent cups of freshly brewed coffee on-the-go. The Mr. Coffee Pour! Brew! Go! coffee maker is more than ideal for that role as it allows you to brew your coffee directly into a travel mug. It is a portable gadget particularly designed for ardent coffee drinker who like to sip coffee on-the-go, and satisfies your coffee cravings anywhere. In a few quick steps and the touch of a button you’re on your way to enjoying a rich cup of coffee. Just pour, brew and go with a powerful coffee drink that stays hot in an insulated mug. The travel-friendly insulated to-go mug ensures your coffee remains hot for as long as it possibly can. With the simple touch of a button you can brew coffee grounds up to 16 ounces directly into your on-the-go mug which has a secure lid closure preventing the coffee from spilling. Once brewing is over, its auto shutoff turns off the machine. This single serve coffee maker brews only your traditional ground coffee as it lacks a built-in grinder. It has a permanent filter which can be removed and washed after brewing, it’s dishwasher safe which makes cleaning easy. Its base can be unscrewed to get rid any drops of water hiding inside the walls. This coffee maker is small enough to fit into small cabinet spaces, which cancels out any storage issues you may have. A carry hook is fitted to give you a firm hold of your coffee maker even as you rush off during the morning rush hour. The best feature of this single serve coffee maker is its ability to brew great tasting coffee directly into a well-fitted and insulated travel-mug which lets you sip your freshly brewed coffee on-the-go.